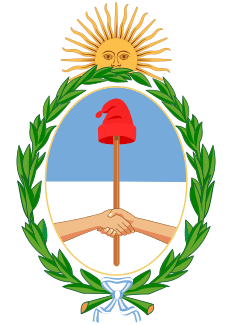 The Argentine Senate is the upper house of the Argentine National Congress. It has 72 senators. There are three for each province and three for Buenos Aires. There used to be 2 senators from each province. That was changed in 1994. Senators are elected by direct election on a provincial basis. The party with the most votes is given two of the province's senate seats. The second-place party gets the third seat. Currently one-third of the members are elected every two years to a six-year term. In other words, one-third of the provinces hold senate elections every two years. be native to the province of his office, or have been a resident of that province for two years. Argentine Senate Facts for Kids. Kiddle Encyclopedia.